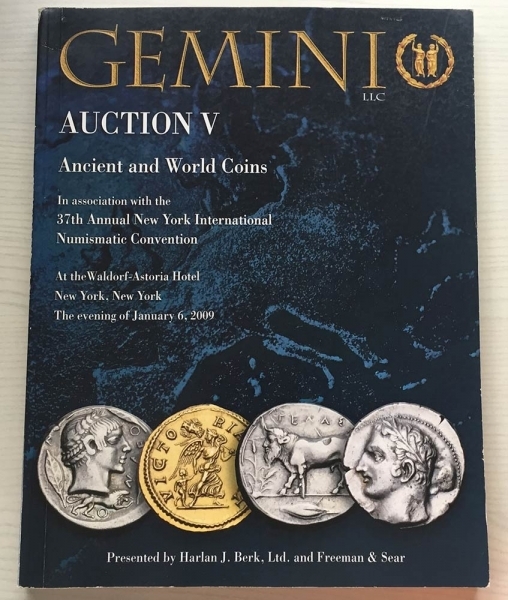 Gemini Auction V. Ancient and World Coins. 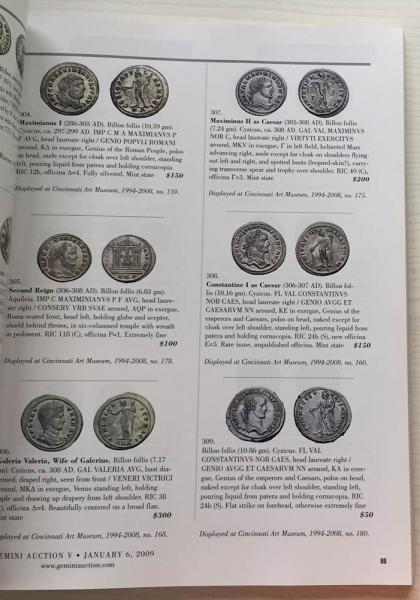 Gemini Auction V. Ancient and World Coins. In Association with the 37th Annual New York International Numismatic Convention. New York 06 January 2009. Brossura ed. pp. 193, lotti 905, ill. a colori.Buono stato.